Property 4: Beach holiday family apartment. 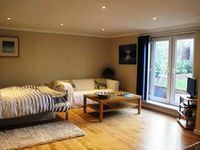 Minutes walk to Alum Chine Beach & restaurants. Property 13: Walking distance to beach, close to town center. Parking.